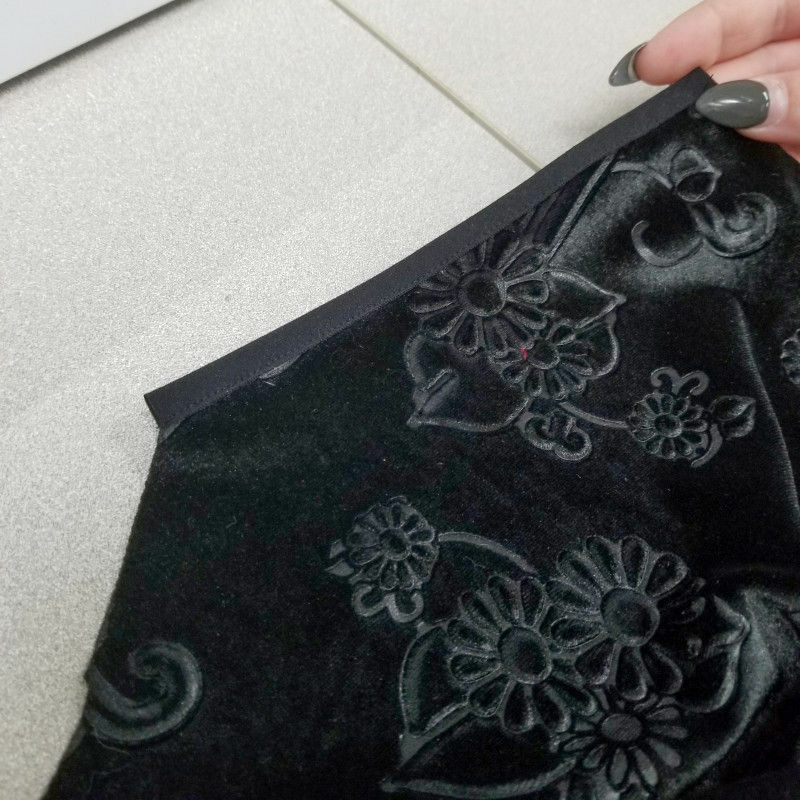 Velvet was a runway favorite during the most recent London Fashion Week, with slinky silhouettes emanating from ALEXACHUNG, Emilio de la Morena, and more, which meant it was time for a new free pattern! Personally, I love the Nineties vibes that come with long velvet gowns, but the Todea Dress sewing pattern can be made with a variety of fabrics to suit your style. Try a silk charmeuse to hop on the lingerie-inspired trend, or opt for a bamboo jersey for chic comfort! 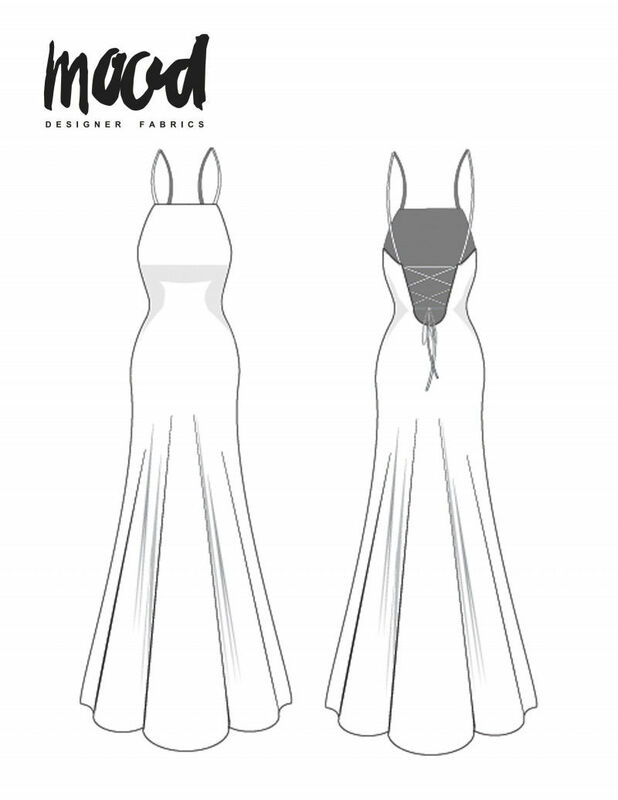 To start, add the bust darts to the front of your bodice, following the guidelines on your pattern. If you’re new to darts, check out this helpful infographic! 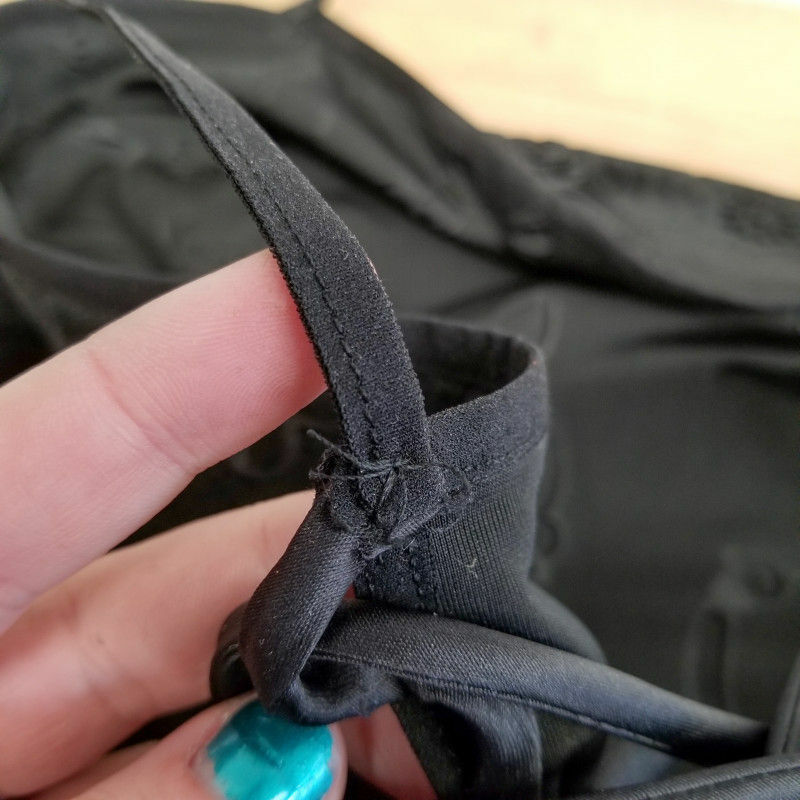 Attach the front and back of your dress at the side seams and then bind the top edge of the dress front with your foldover elastic tape, like you see below. Do the same with the back opening of the dress, carefully curving the tape along the bottom. Next, bind the armscye of the dress, starting at the back. As you get to the front of the dress, this binding becomes the dress strap. Cut your newly made strap to the length you need, plus 1/2″. Tack the extra 1/2″ to the back of your dress to complete the strap. 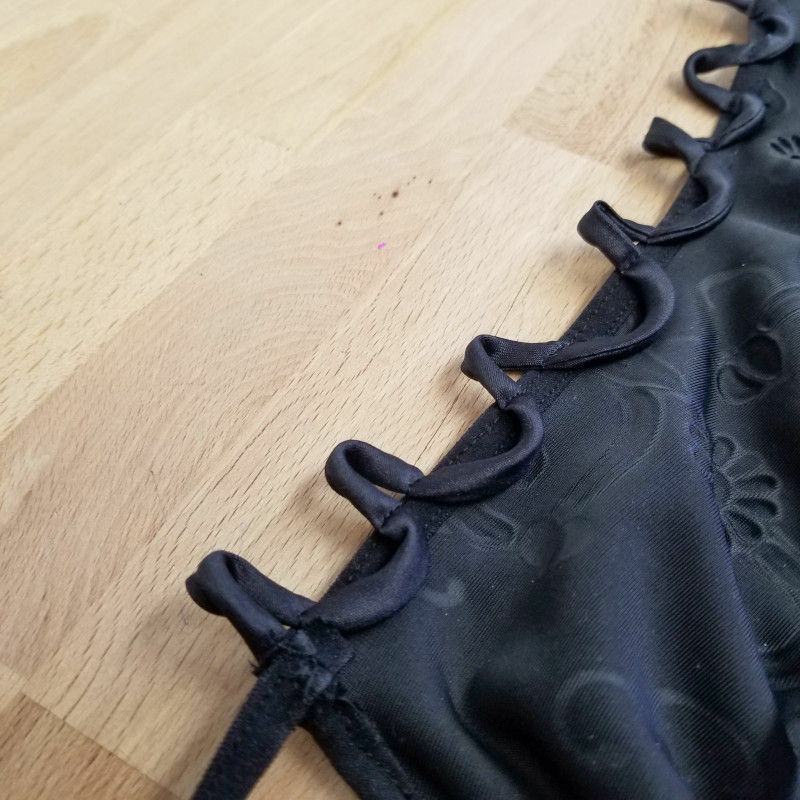 To make the ties for the lace-up back, simply loop your satin cord back and forth along the opening on the back of the dress. Pin into place, and then stitch along the curve to secure them into place. Use the remainder of your satin cord to lace. 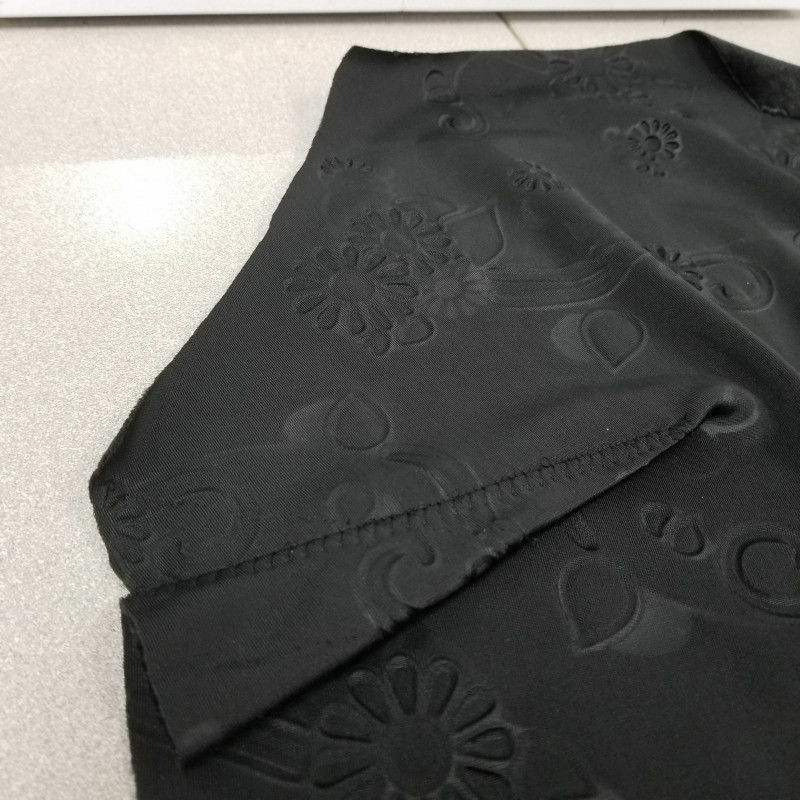 Lastly, give the bottom of your skirt a 1/4″ rolled hem, and your dress is complete! Will you be giving the Todea Dress a try? Let me know what fabric type you’re thinking in the comments! 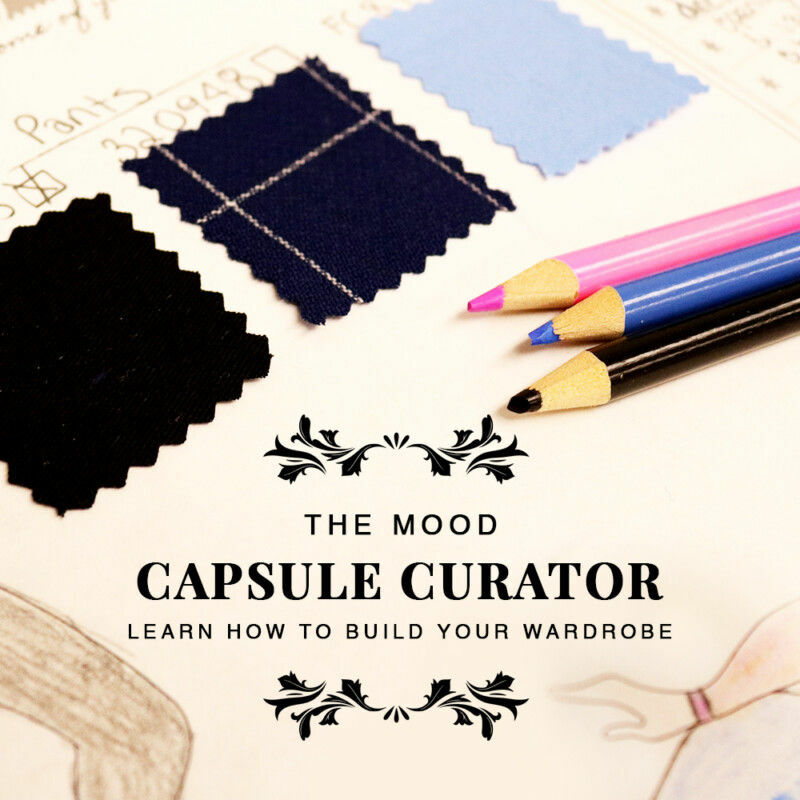 Do you have a # when we make a garment with a Mood Sewciety pattern ? I wore this exact dress to my 8th grade graduation…in 1998. Guess I should have saved it! This is giving me a 90’s vibe and I freaking love it. Can’t wait to make it. This is such a gorgeous dress! My school formal (Australian prom equivalent) is coming up in June and I think I’ve found my dress! I’ll have to edit the back a little bit because as I’m quite large-chested the lace up style doesn’t work as more often than not my bra is visible and I don’t really trust those stick-on ones. Regardless, thank you so much for designing this dress, it made me feel like I was listening to The Cranberries’ Zombie and attending a red-carpet event all at the same time as soon as I saw it. I love your patterns! Now I just have to tape the whole thing together (I’ve never used a Mood Pattern before, so that’ll be a new challenge), wish me luck!